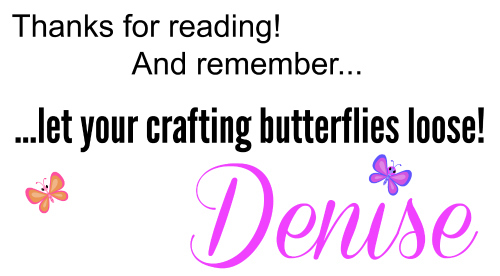 Page 2 of the tutorial. 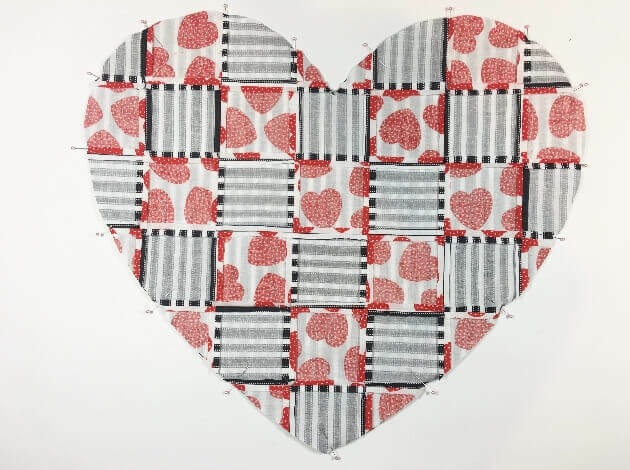 Now I pinned both heart sides together (with right sides). Since I needed an opening for stuffing the heart, I left a 4″ opening on the right side towards the bottom tip. That area has the straightest edge which will allow for a better closing. 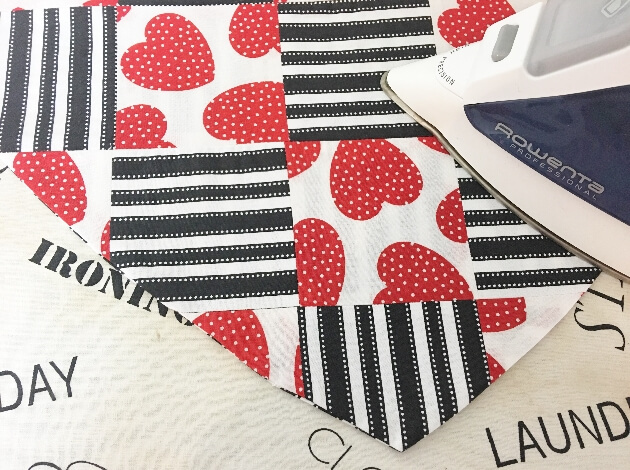 With a 1/4″ seam allowance I sewed around the perimeter of the heart. I backstitched the beginning and the end. Once done, I trimmed off the pointy tip. 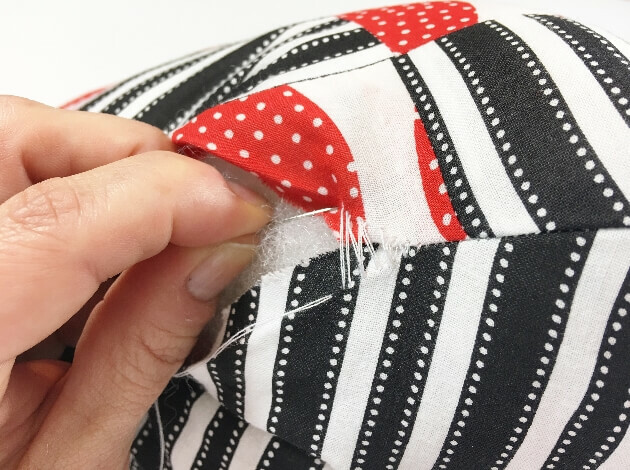 And I also cut tiny slits into the rounded seams which will allow for a better appearance of the finished pillow. 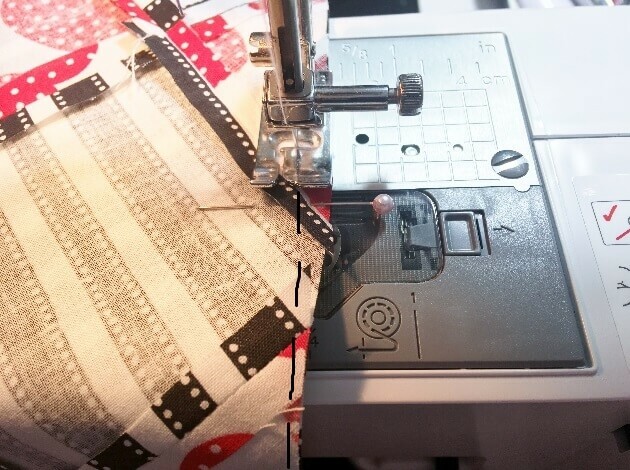 This will reduce the wavy look along the seams. I turned my pillow case with right sides out and gave it a good press. 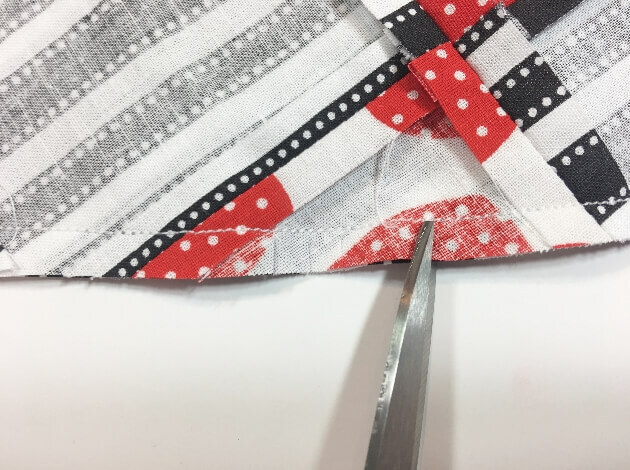 I also made sure that the seam was fully turned out. Now it was time to stuff the pillow! I wanted the heart to look nice and round so I stuffed A LOT of fiberfill into it. I worked in sections and filled the areas along the seam first. 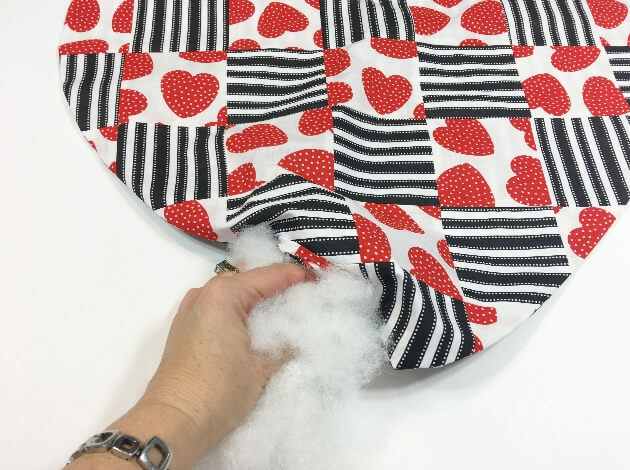 The heart will look really bulky and uneven while stuffing. That is quite normal. I made sure to even out the bulkiness before I decided to close the opening. 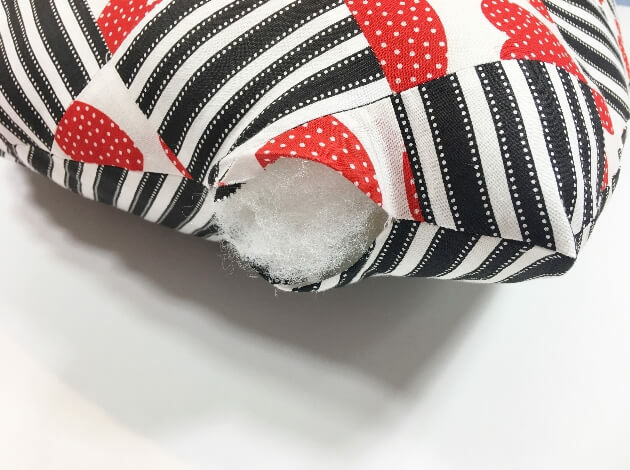 I pushed the stuffing in a bit further so that wouldn’t interfere with sewing the opening closed. 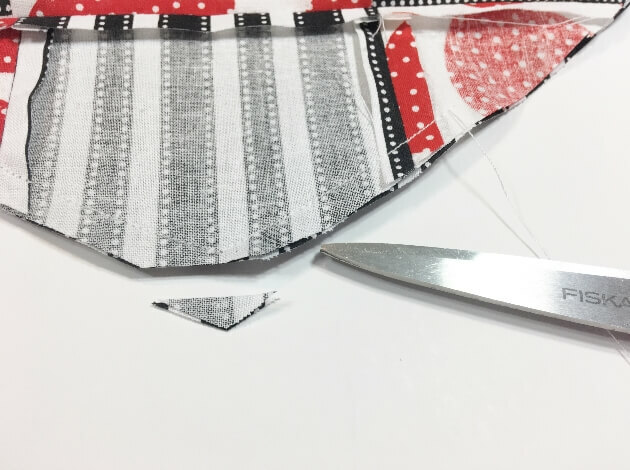 With a double threaded hand sew needle, I slip stitched the opening closed. 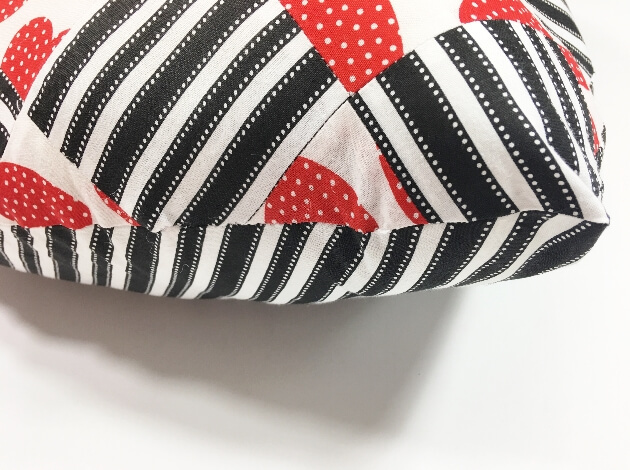 My gigantic heart pillow DIY is done!! I love it so much! 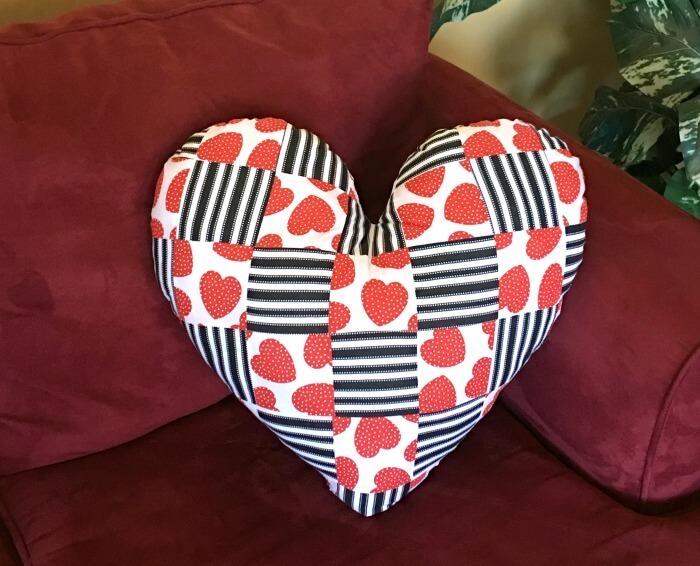 The adorable patchwork heart pillow is done and ready to add a pop of LOVE and color to my couch! 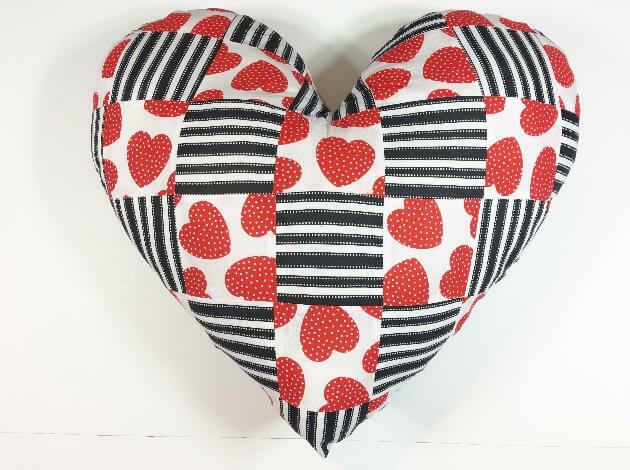 I hope you enjoyed this free patchwork heart pillow pattern and will make a bunch yourself!